If you have a fashion-forward partner who you would like to propose to, then you may be wondering how you can ensure you get something in fashion that she will love for years to come. 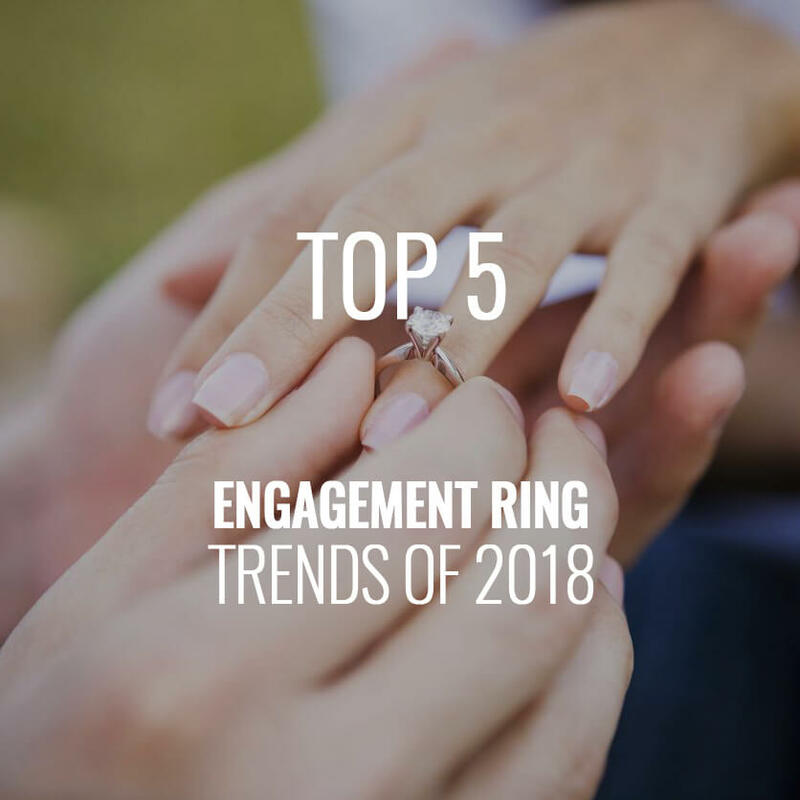 Engagement rings are deeply personal, and so to help you make the right decision our team of diamond experts has composed a list of the top five trendiest engagement ring styles for 2018 that we believe will stand the test of time. This style of ring has been considered a classic ever since Princess Diana received an oval halo sapphire ring when she became engaged to Prince Charles. In 2010, when Kate Middleton received the same ring from her husband-to-be Prince William, the ring style experienced a resurgence in popularity. The reason this style is still trendy eight years later is thanks to its understated elegance. An oval halo features an oval cut diamond surrounded by smaller diamonds to create a “halo.” If your bride-to-be favours vintage looks and exudes elegance then this is the perfect ring for her, and diamonds are always the best bet for a fashionista, as they never clash with any outfit. 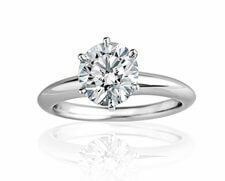 Very similar to the oval halo ring, the round diamond halo is only different in that it features a round cut diamond instead of an oval. 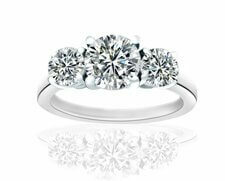 The round diamond halo is incredibly classic and was the first diamond cut to receive the halo treatment. 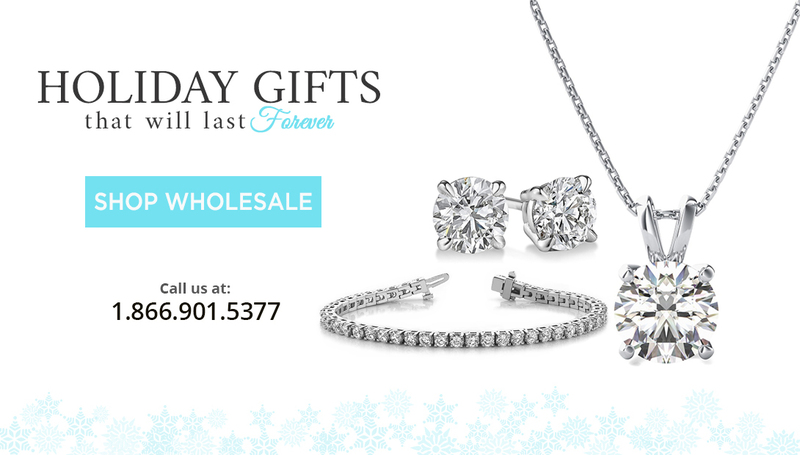 Round diamonds are an absolutely brilliant cut and have the most sparkle out of every other cut. The round diamond halo ring is perfect for someone who really likes sparkle and loves larger jewelry, yet would also consider themselves traditional. Thanks to the halo of smaller diamonds, a round diamond halo ring also will appear much larger than a single stone ring, and round diamonds give the illusion of being larger than they are. 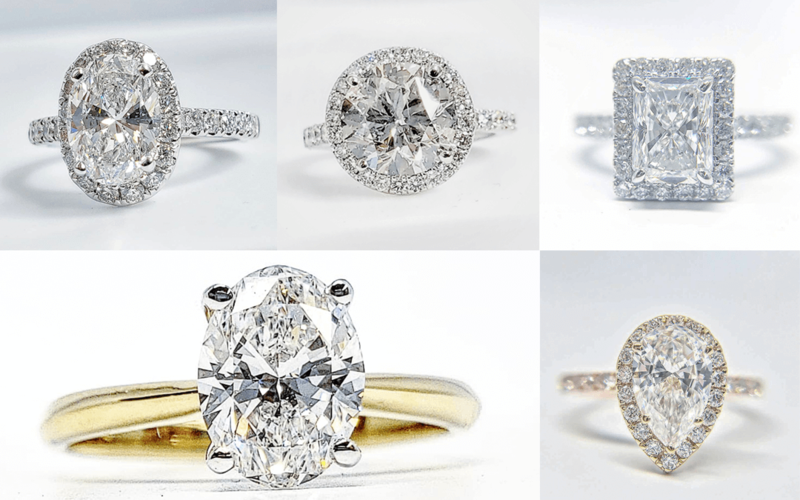 For many years yellow gold has been considered “out,” and white gold has featured in almost all engagement rings since the 1990s. Yellow gold has had a huge resurgence and is viewed as classic and timeless, a trendy bride would be quite happy to receive a yellow gold ring. To really show off the yellow gold, go with a single oval cut diamond. 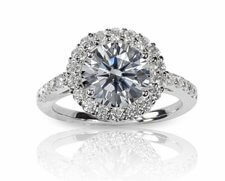 Oval cuts are great at elongating hands and add an elegance that your future fiancé will love. Radiant cut diamonds are in the world of diamond cutting, a very new style of cut. It was created in 1977 and combines the best of a round brilliant cut and an emerald cut so that those who prefer a squared-off shape can still have the outstanding sparkle of a round cut diamond. A radiant cut diamond is wonderfully refracting and catches the light beautifully. Add a halo setting to this already unique, elongated shape, and you have an absolute show-stopper on her hand. Rose gold is a stunning and feminine shade of gold that is perfect for the out-of-the-box bride. 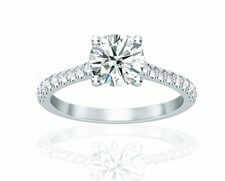 Paired with a pear shape diamond and your bride will have a unique ring that is special to her. If your partner has ever mentioned wanting a blush wedding dress, or if she tends towards more feminine and playful clothing options, then this style of engagement ring will be perfect for her. It is a soft, delicate statement that she will love. All of these rings are available in our downtown Toronto store. We can also customize any ring to fit your desired size, shape and budget! Call us today to make an appointment!